They are now officially Ledgelings! 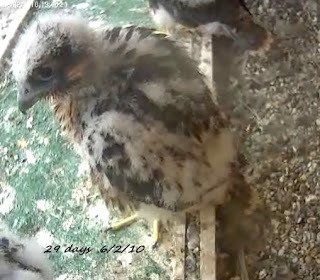 And at the Statler, four kids are at about the same stage as the Potter boys! There were five eggs but we haven't been able to detect more than four chicks so far. 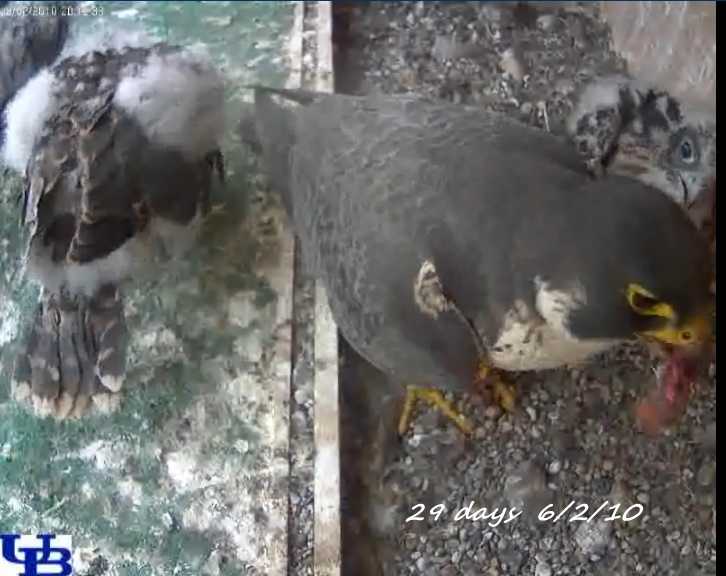 They have not been banded because the DEC has been denied access to check and band the Peregrines. like the one below on the back of the National Fuel building. 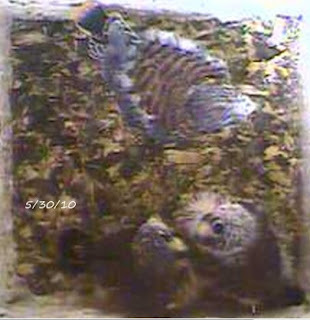 who really does have a good view of the nestbox. 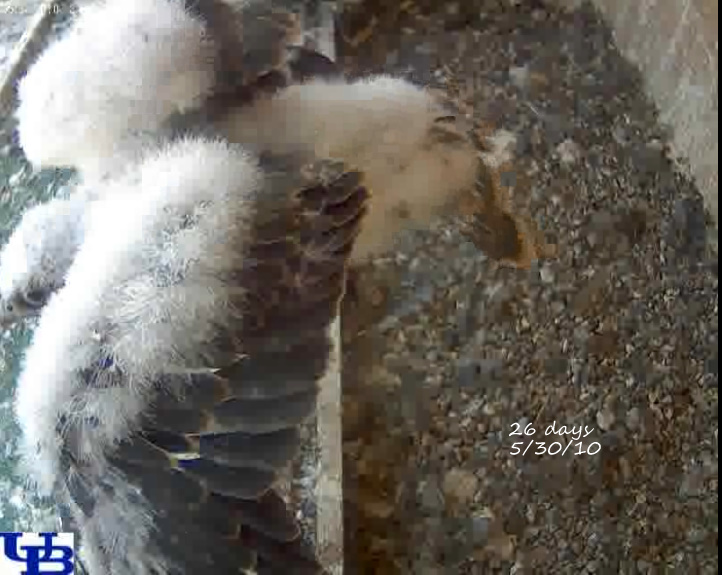 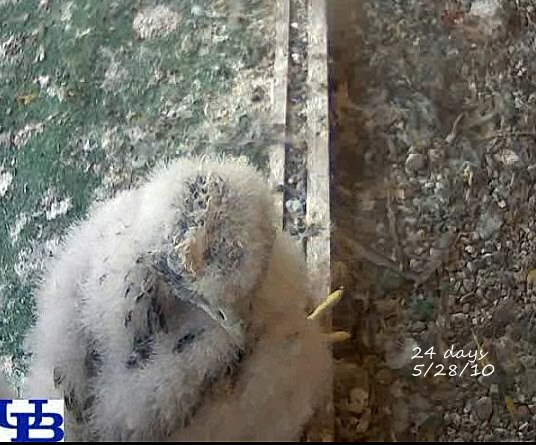 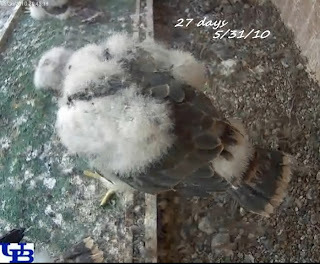 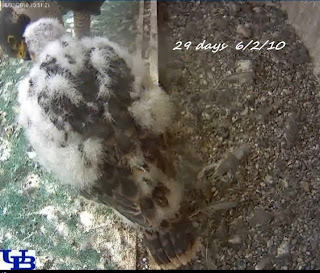 And the cute little Kestrels at Iroquois are getting close to fledging!